The memorial service for Ronald C. Carlson, of Starbuck, Minnesota will be held on Friday, February 23, 2018 at 2:00 p.m. at the Fron Lutheran Church in Starbuck, with Reverend Paul Johnson officiating. Visitation will be Friday, one hour prior to the service at the church. Burial will be at the Fron Lutheran Cemetery, Starbuck. Ronald Curtis Carlson, son of Alfred and Camilla (Jennum) Carlson was born on January 28, 1939 in Blue Mound Township near Starbuck, Minnesota. He grew up and attended school in Starbuck and after his schooling moved to Minot, North Dakota working on the Minot Air Force Base. He married Carol Ann Haagenstad on October 16, 1960 in Maddock, North Dakota, they had three sons: Myron, Dean and Mark. The couple made their home in Minneapolis where Ron worked for a short time for Gamble-Robinson Company. In 1963, he began working for the Water Department at the City of Edina. He retired in 1995 as foreman, with over 30 years of service and returned to Starbuck in 1997. 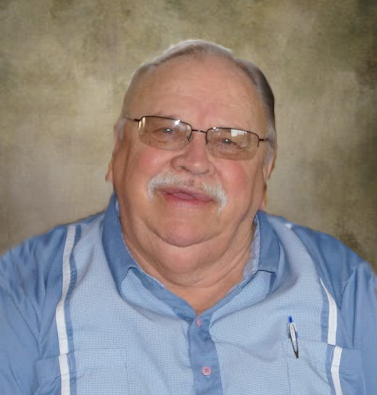 Ron became a resident at the Minnewaska Lutheran Home in Starbuck in 2014. Ronnie’s personality was as big as he was. He adored his grandchildren and beamed with pride whenever he would talk about them. He would spoil them as often as he could. He had a great sense of humor and took great pleasure in teasing his daughters-in-law whenever he found the opportunity. He loved making things with wood building many bird feeders, Barbie furniture and ice fishing rattle-reels in his workshop. He and Carol Ann spent 30 years together raising their three boys. They enjoyed entertaining, camping and traipsing around to various hockey rinks. Ronnie enjoyed fishing and hunting. He was in his glory when he was able to purchase a home and return to Starbuck in the mid 1990’s. It was there that he met and began dating Rose with whom he spent the next ten years. They enjoyed traveling, taking trips to Missouri, Arizona, Las Vegas and Georgia. They shared their love of gardening together growing both vegetable and flowers. Ronnie took pride in canning the vegetables that he grew. When he became less mobile, rumor has it that he would sit in his golf cart and supervise while Rose was on her knees getting her hands dirty. Ronnie loved to watch The Price is Right, shop at Wal-Mart and talk about the birds that visited his feeders, and would occasionally take out a pesky squirrel with his bb gun. When he went to live in the nursing home his good-natured personality came with him. His stories and laughter entertained the staff. He will be dearly missed. Ron passed away after a brief illness on Tuesday, February 13, 2018 at 79 years of age. He is survived by three sons: Myron (Julie) Carlson, Oak Park, MN, Dean (Dawn) Carlson, Crystal, MN and Mark (Sharia) Carlson, Woodbury, MN; grandchildren: Jenna, Logan, Ali, Lindsay, Jessica and Dylan; sister: Nancy Burseau. Ron was preceded in death by his parents; brother, Charles DeWayne Carlson; sisters: Ardis (George) Olsen and Corrine Carlson; and nephews, James Olsen and Richard Carlson. Funeral arrangements by Starbuck Funeral Home in Starbuck, MN. An online guest book can be signed at www.starbuckfh.com.